« Happy New Year From The Pet Product Guru! 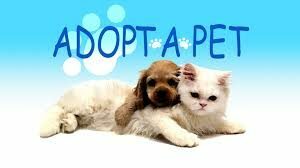 If you want to do something wonderful in 2018 why not adopt a pet? Studies show that owning a loving dog or cat can decrease your blood pressure, cholesterol and triglyceride levels and reduce depression, anxiety and loneliness. It’s also believed that developing a close bond between you and your pet, offers significant social, physiological and psychological benefits. Owning a dog appeals to and is beneficial to people of all ages. According to Animal League of America, children learn responsibility, value for life, socialization and have higher self-esteem while adults and seniors enjoy the companionship and the feelings of self-worth and purpose that taking care of an animal instills. Pet owners smile more, laugh more and form special friendships with other animal owners and lovers. So do your self a favor, adopt a pet in the new year! This entry was posted on Monday, January 1st, 2018 at 9:45 am	and is filed under Pet Supplies. You can follow any responses to this entry through the RSS 2.0 feed. Both comments and pings are currently closed.